I mean, there’s just so much going on and things can EASILY get out of hand. 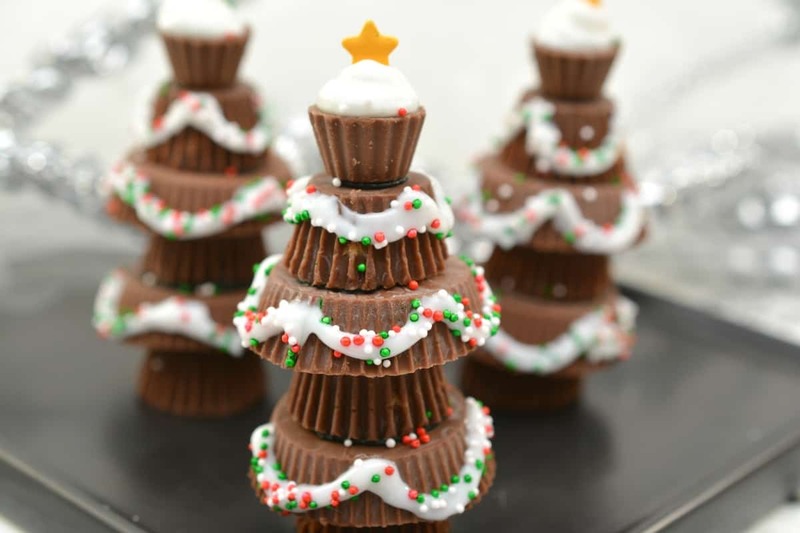 That’s why I’m using some leftover Halloween Candy easily found candies on the holiday candy aisle to make these ridiculously cute and Easy Candy Christmas Trees for my kiddos’ holiday party this year. No, really, I can have about 15 of these Easy Candy Christmas Trees whipped together in 15 minutes. That’s how fast and simple these are. And my oldest–who is ONLY 5, she helped me pull together half of them (some of them are even pictured that she worked on…) and you can’t even tell that she helped. And so easy a preschooler can do it. 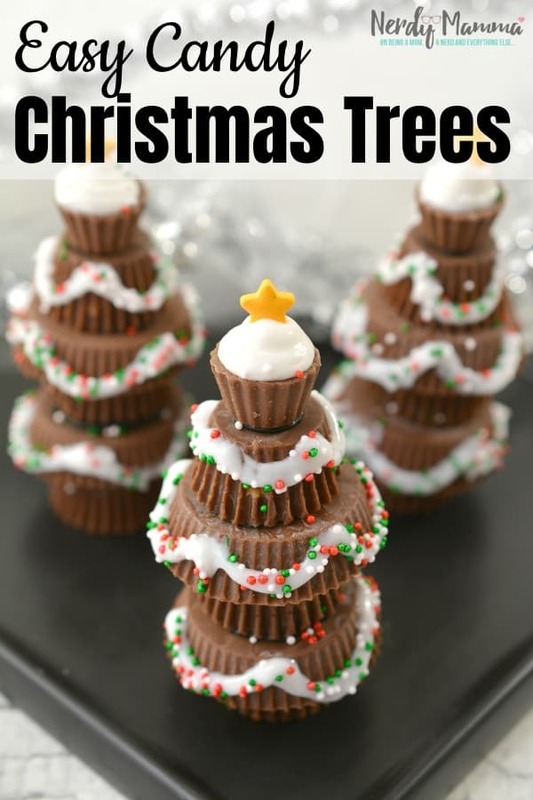 And if you don’t believe me that these Easy Candy Christmas Trees are really THAT easy, check out this slideshow video I made. Riiiiidiculously easy. 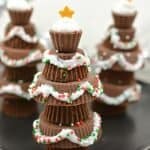 Now, get your pin on for these Easy Candy Christmas Trees, then get your leftover Halloween candy ready. Because fun is about to happen. Sometimes, you just gotta get your cute snack on for the kids' school parties. 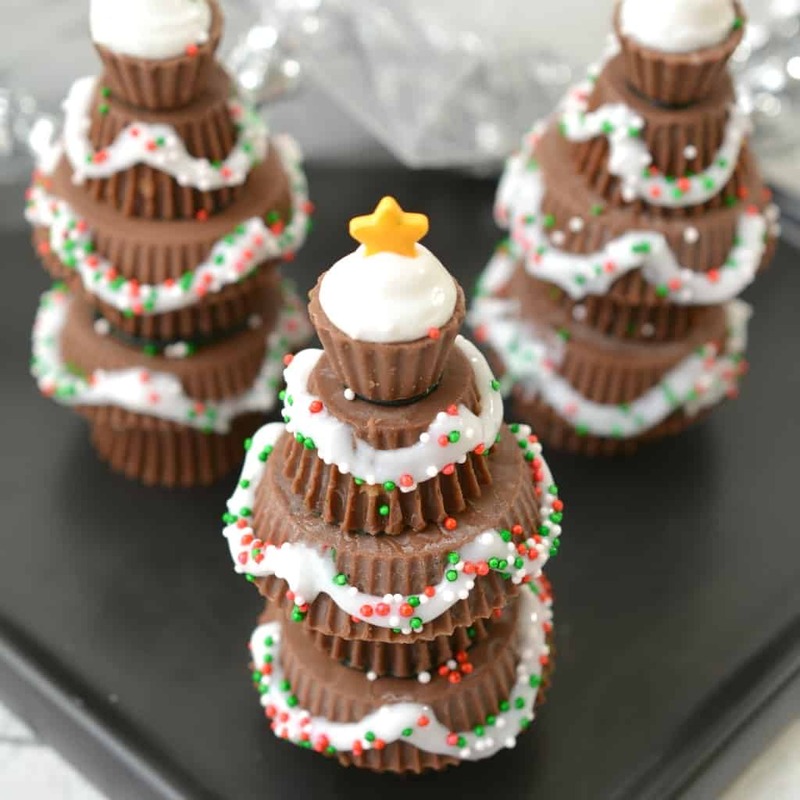 And this time, my cute snack of choice is this adorable Easy Candy Christmas Trees snack. So simple, but so very fun. Unwrap a snack sized Peanut Butter Cup, and place it upside down on a flat surface. Apply a bit of black icing to the top of the snack sized candy cup. Unwrap a regular sized Peanut Butter Cup, and place it upside down on top of the snack sized peanut butter cup. Repeat steps 1-3 to create a second layer of candy. Remember to apply black icing between the layers to hold them together. Place one more upside down snack sized Peanut Butter Cup on top of the two layers of candy. Apply some icing to the top of the snack sized cup, and press a minature Peanut Butter Cup on top of it. Fill the top of the miniature Peanut Butter Cup with white icing. Place a star-shaped sprinkle on top of the white icing. Put the candy Christmas trees into the freezer to set the icing that is holding the layers together. Remove them after about 10 minutes. Use Decorator gel icing to create a garland around the layers of the candy Christmas tree. Hold the candy tree over a paper plate, and apply some holiday colored sprinkles to the wet gel icing garland. Return the candy trees to the freezer to set for another 5-10 minutes, and serve.